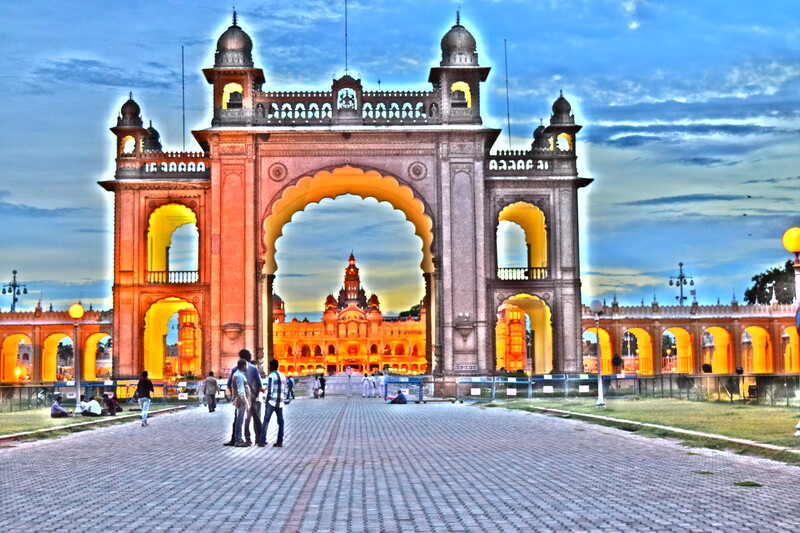 Mysore is considered as one of the historical places of India. 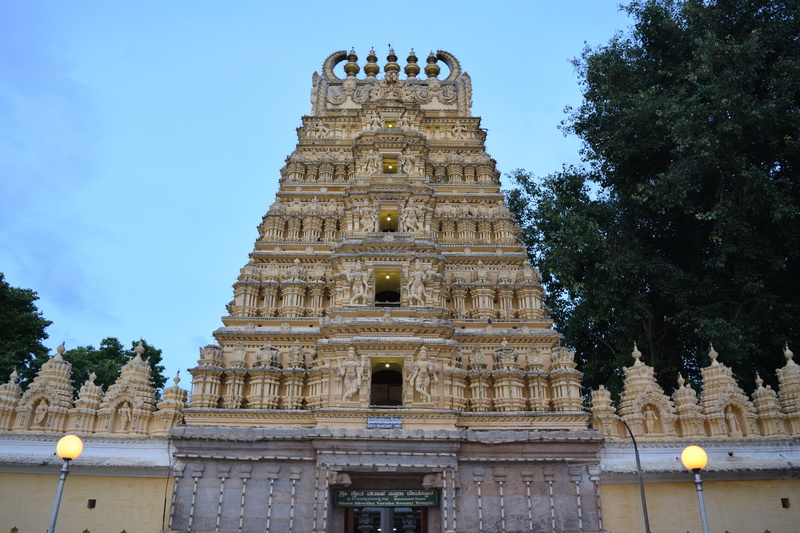 In earlier days, Mysore was a kingdom of the southern India which was ruled by the Wodeyer family. It also described as “City of Palaces” because it has a number of the historical palaces. 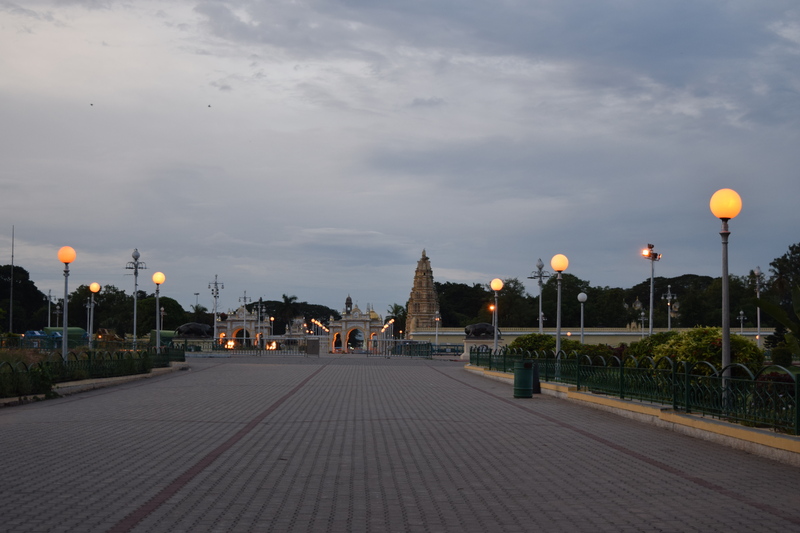 Unfortunately when I reached Mysore late in the evening, the Mysore Palace was already closed. I did not get a chance to see the palace completely, but somehow I managed to get few photos from outside. 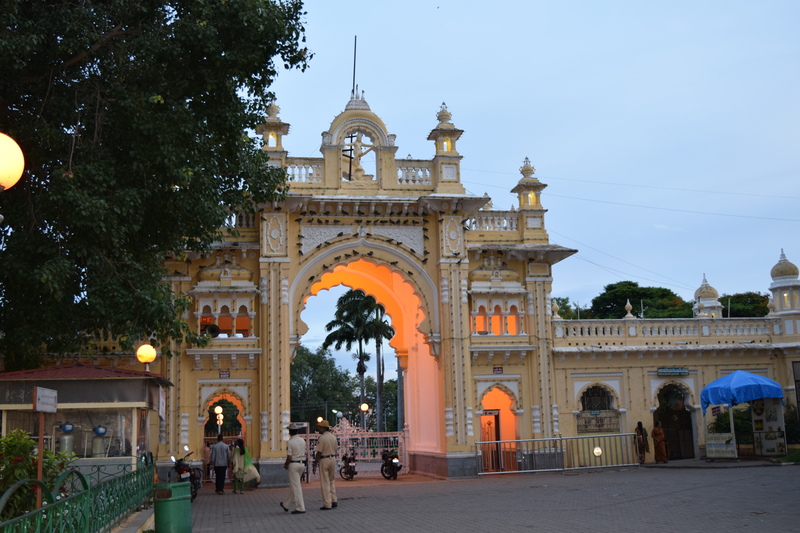 Mysore Palace is the one of the main attractions of Mysore city. 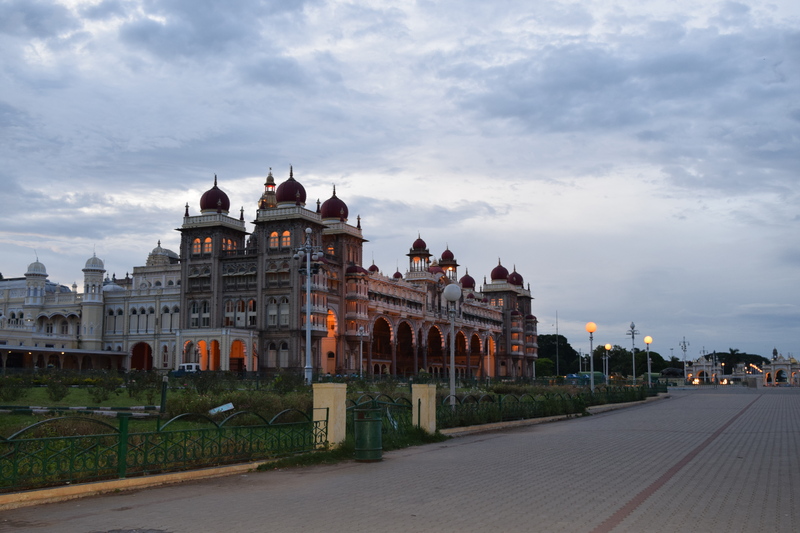 It is also called as “Palace of Mysore” or “Amba Vilas”. 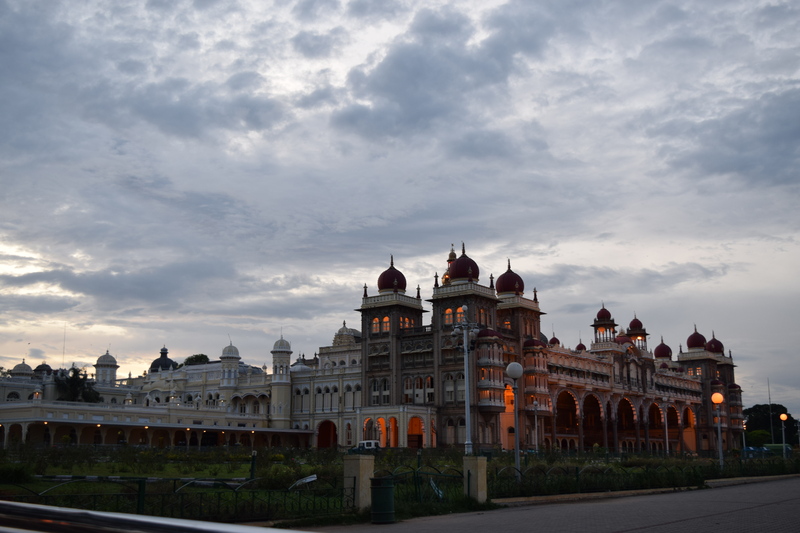 The Mysore Palace is the home of the Wodyers who ruled Mysore for more than 500 years. The Palace is indeed worth a visit, for its spacious halls, 3D wall paintings and architectural beauty. 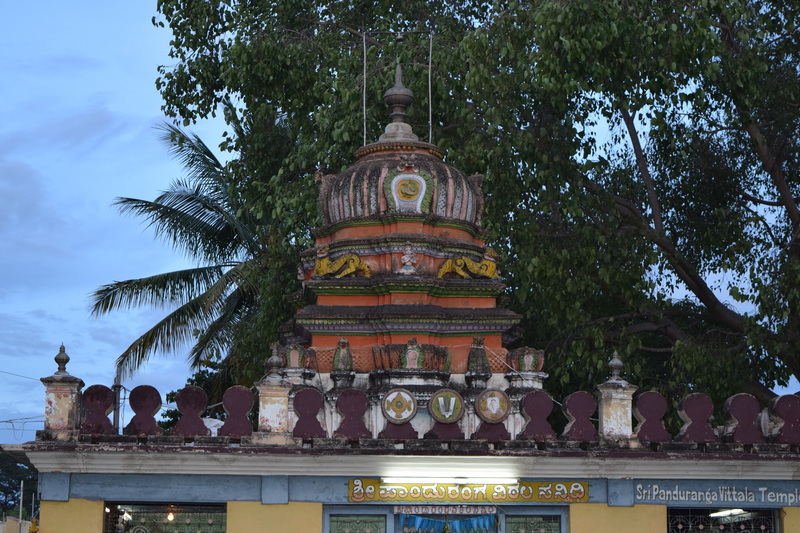 The palace should not to be missed seeing when it is illuminated on Sundays and other festival occasions specially during the Dasara festival. Palace Timing – The palace is open throughout the week from 10 am to 5.30 pm. Just to mention, Photography inside the main palace building is strictly prohibited. Overall, it was a nice experience to see and spend some time around the royal palace. 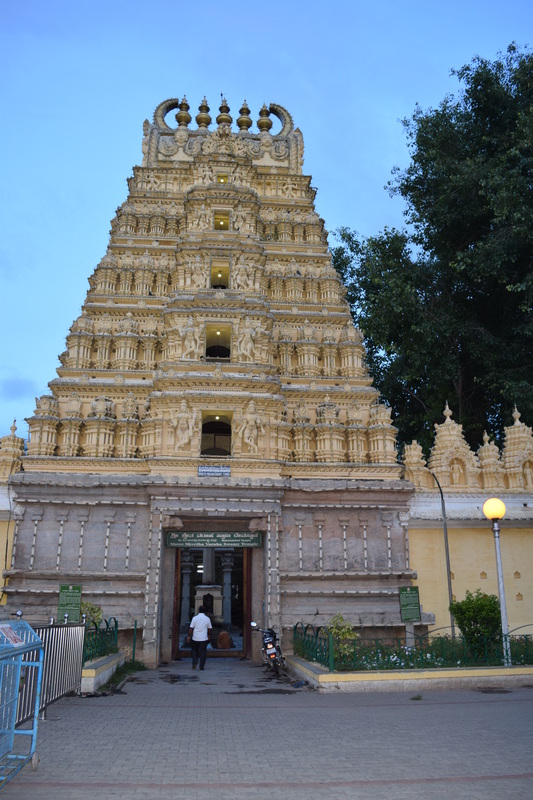 This time I reached late in Mysore and missed the chance to see the palace. But, next time I will make sure that I reach on the time and I spend a whole day in exploring the Palace. Tell me, Have you ever missed seeing the beautiful place because you were late? I keep seeing more and more posts about travel through India…it seems there are endless cities, towns, and villages. I can’t imagine spending just a few weeks there, it seems like I could barely scratch the surface in that time. That’s true, there are many remote places and villages in India apart from metro cities. You need a quite time to explore each and every bit of real these places. 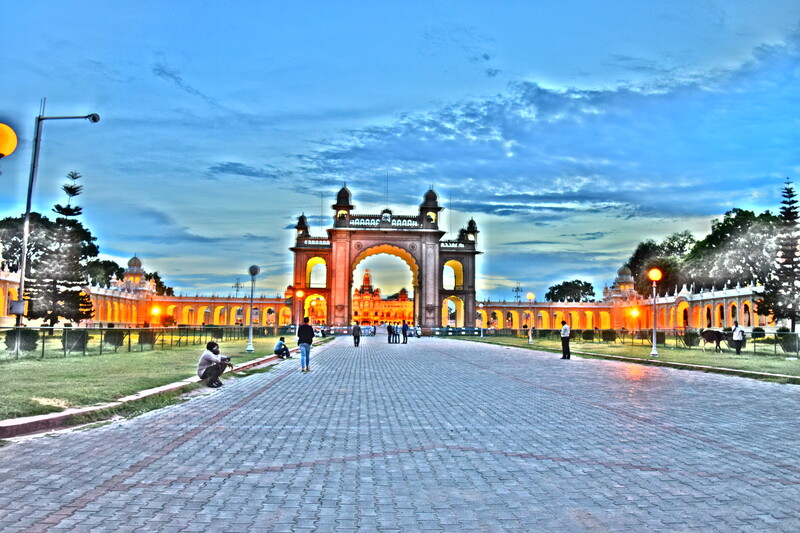 Infact I like natural images more..I was experimenting my camera with HDR…so thought of adding those images too. It’s so pretty after the lights come on. I liked the natural images much better than the HDR one’s, but that’s me.